Karl and Friedrich is a restaurant with its own brewery that brews 4 beers and several traditional Bavarian seasonal recipes following the Decree of the Purity of Brewing (Reinheitsgebot) of 1516. The restaurant’s cuisine is varied, but is dominated by meat dishes including the famous pork trotters, Munich sausages, pork ribs and other dishes that go well with beer. From 2003 to 2012, Karl and Friedrich deservedly became the «Best Beer Garden in St. Petersburg», but the highest score is from its continued popularity among St. Petersburg locals and visitors alike. 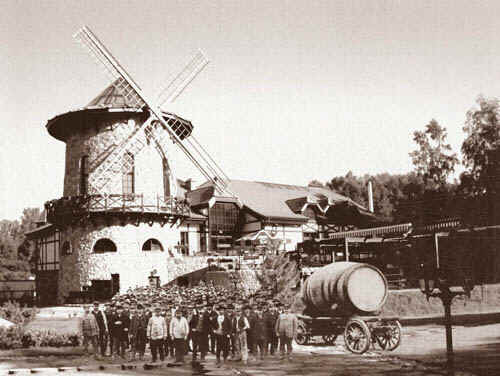 Karl and Friedrich is the only restaurant in St. Petersburg with a Biergarten that can accommodate 1000 people. With a two-level dining room, the ground floor provides everything for a boisterous guest, while the second is perfect for business meetings and private relaxation. 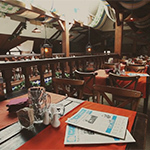 To learn more about the restaurant interior and its premises, view our virtual tour. There is also a VIP-room for 20 people, a large children’s playroom with a nanny, and an outdoor playground near the terrace. We also have a Cheburashka zoo at the restaurant.